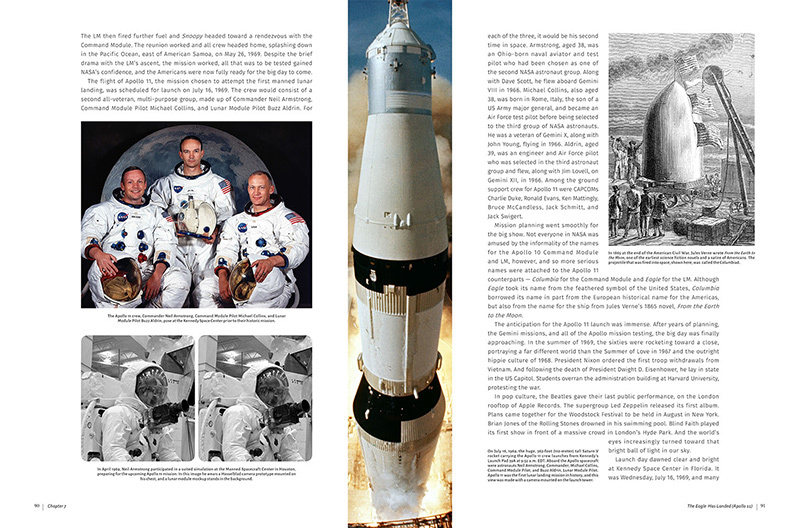 Mission Moon takes readers on a skillfully narrated and beautifully illustrated journey through the events which led to Apollo 11’s lunar landing in July 1969, when Neil Armstrong and Buzz Aldrin became the first people to walk on the face of the Moon. 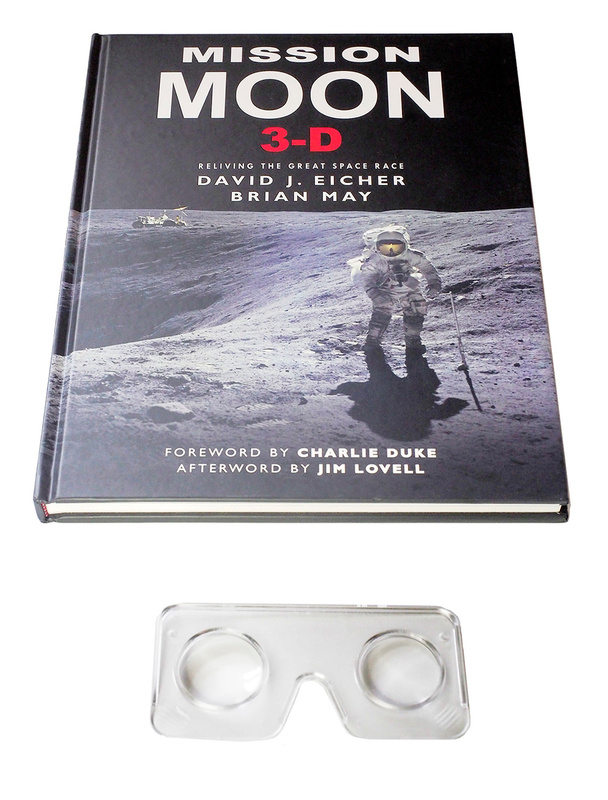 For the first time the story of the space race has been captured in stereo 3-D and this book presents the largest-ever collection of stereo photos of the Apollo program. 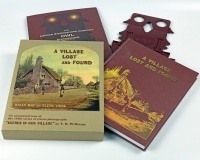 Over 150 unique views contained within can be viewed by Brian’s own design Lite Owl viewer, which is neatly housed within the back cover of this hardback book. In 1961 John F. Kennedy surprised the world with his announcement that America intended to land a man on the Moon and return him safely to Earth before the end of the decade. 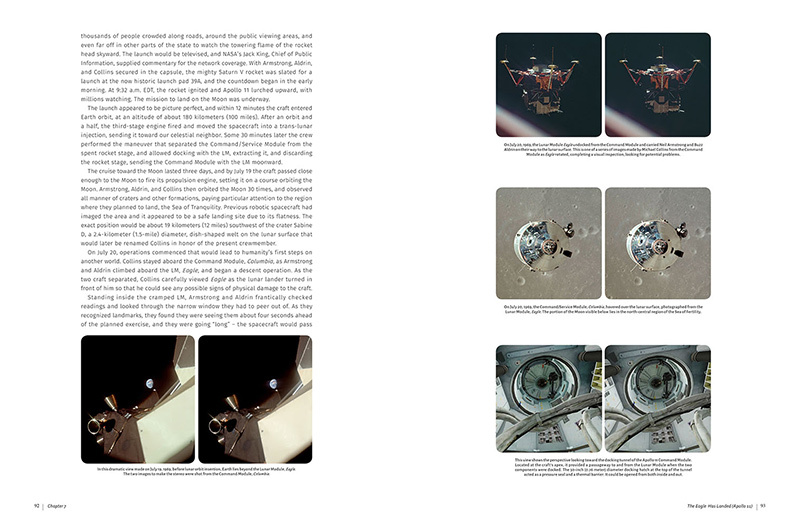 In 1969 this seemingly impossible goal was achieved as Neil Armstrong uttered his immortal line: "That's one small step for a man, one giant leap for Mankind." 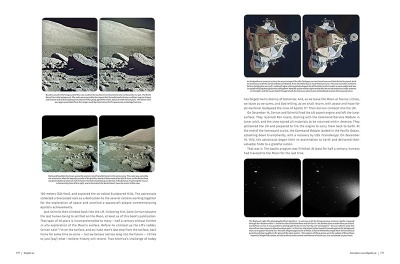 This book celebrates not only 50 years since Apollo 11 and the first human steps on the Moon, but the achievements of the all Soviet and American heroes who risked and sometimes lost their lives in the race to the Moon. 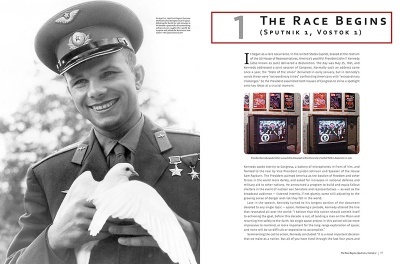 Written by David J. Eicher, renowned editor of the world’s best selling Astronomy magazine, and illustrated by Brian May and Claudia Manzoni with 150 spectacular unseen 3-D photographs painstakingly created from NASA originals, as well as 200 mono photographs, this book offers unique insight into the American and Soviet “ firsts" in space from Sputnik through to the International Space Station, with the Apollo program covered in detail, and is the definitive record for the 50th anniversary of humankind’s greatest achievement in July 2019. 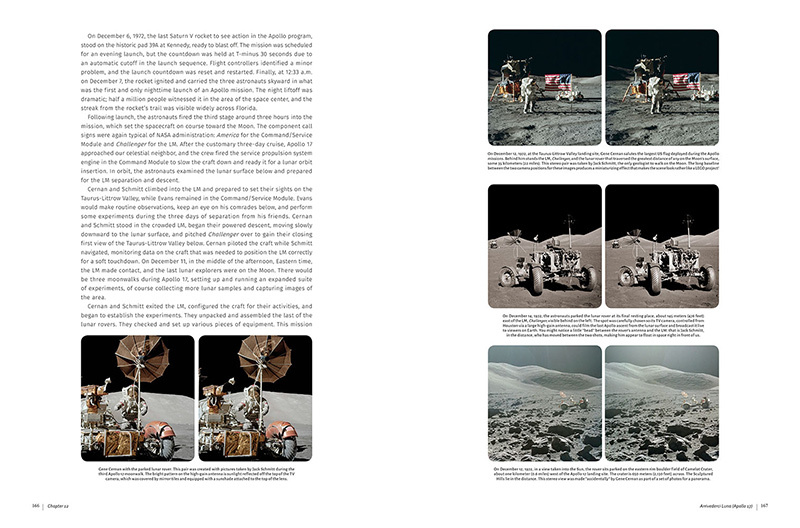 Each book includes Brian May’s patent lite OWL viewer free with each copy, neatly concealed within the back cover. 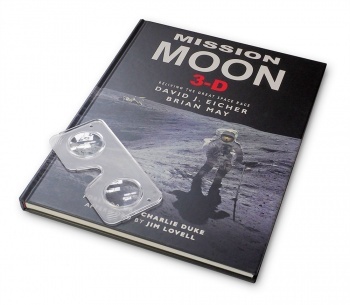 The London Stereoscopic Company is honoured to be able to include contributions from two legends of the Apollo program: a Foreword by Charlie Duke who was not only the voice of Mission Control during the first Moon landing, but went on to walk on the Moon himself as the Lunar Module Pilot of Apollo 16; and an Afterword by Jim Lovell, who was immortalised for his heroic role as Lunar Module Pilot for the ill-fated Apollo 13 mission. David J. Eicher is Editor-in-Chief of Astronomy magazine, and one of the world’s most recognised astronomy enthusiasts and educators online, in the broadcast media, and in print. He has written eight books on the subject, with his new book Galaxies due out in Autumn 2018. 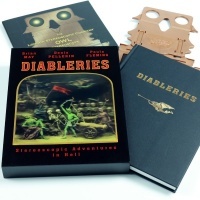 He is a board member for Starmus, the biennial festival of science and music, president of the Astronomy Foundation. He was honoured by the International Union who named a minor planet after him, 3617 Eicher. 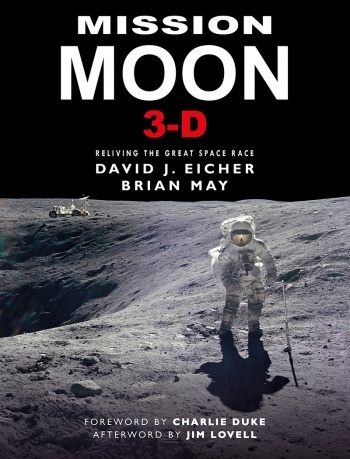 Brian May, founder member, songwriter and guitarist with the rock band Queen, and co-creator of the internationally successful rock theatrical, We Will Rock You, is also a Doctor of Astrophysics, a leading campaigner for animal rights, and a lifelong 3-D photography enthusiast. 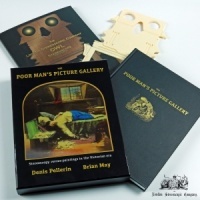 Most recently, he has become a successful publisher, dedicated to sharing his vast collection of Victorian stereo photographs with the world through the books released by the London Stereoscopic Company. Brian currently tours with Queen for much of the year with Adam Lambert as lead vocalist. His many other projects include Bohemian Rhapsody, the much-anticipated biopic of Freddie Mercury, which will be released later this year.